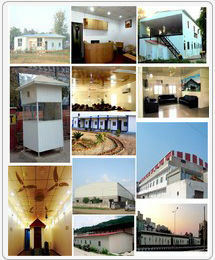 Prefabricated Structure Delhi and Pre-Engineered buildings are simple in definitions and concept, but extremely diversified in their uses and unique in each design. Each building is basically a system of components that are divided into Primary and Secondary framing, the cover and the accessories. Metal building components can be used in conjunction with other building materials in a building design that reflects the designer’s ideas; the end users needs and compliments the surroundings. In short, Prefabricated Structure, Pre-Engineered Buildings are the buildings of today and future. They are quickly replacing the traditional method of construction with new ideas that are cost effective, energy efficient, environment friendly, reduces erection time.